Stampin' With Leah : Swallowtail by Tereesa. Guest Artist Tereesa Coxen. I caught up with my good friend Tereesa recently who has been playing with the beautiful Swallowtail stamp and kindly allowed me to share her gorgeous cards with you all. 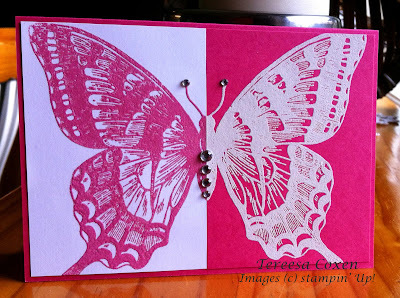 I love how the butterfly seems to be flying off the card and all the glitter. 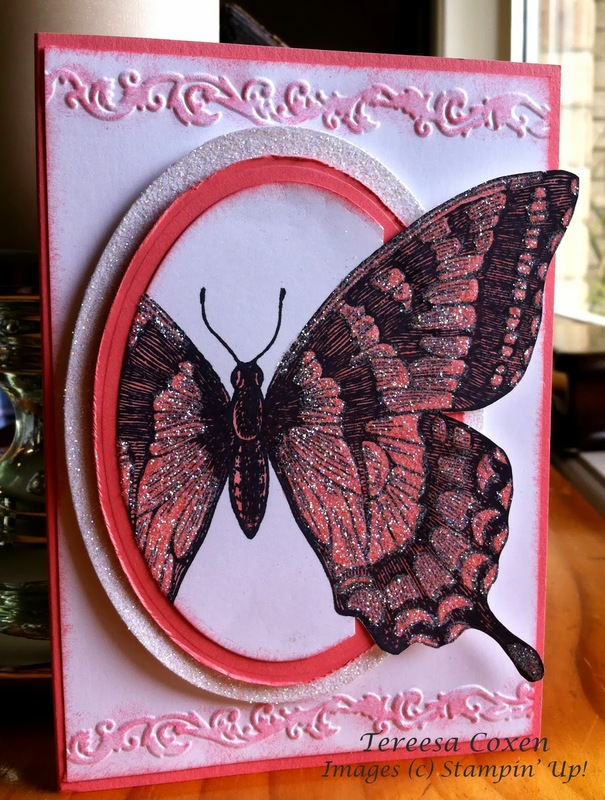 For this card Tereesa stamped the butterfly on vellum and used a scoring tool (i think) to push parts of the butterfly up giving it great dimension. 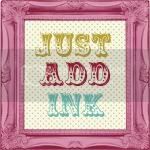 This last card is stunning with the White and Melon Mambo embossing powder. 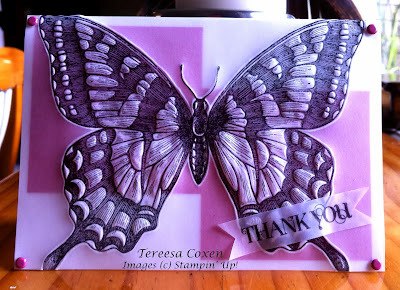 Thank you so much Tereesa for sharing your beautiful creative cards with us.